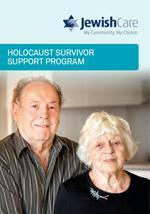 The Holocaust Survivor Support Program receives funding from the Conference on Jewish Material Claims Against Germany ('Claims Conference'). 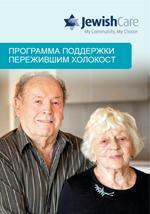 The program also assists individuals in applying for compensation from the German Government or other authorities. The Conference on Jewish Material Claims Against Germany ('Claims Conference') is a New York-based organisation negotiating with European governments for the release of funds to support Holocaust survivors worldwide. After their negotiations, the Claims Conference provides money to organisations such as Jewish Care to assist and support eligible Holocaust survivors. Jewish Care acknowledges receipt of the funds at the direction of the United States District Court supervising the lawsuit In Re: Holocaust Victim Asset Litigation (Swiss Banks). For more information about the work and role of the Claims Conference, please visit the Claims Conference website.